Indian Idol is ready for its final stage! Sony TV Live, the only place to watch Indian Idol, is prepared to present its viewers the grand finale for this season's Indian Idol. The long running popular audition show is on its ninth season but the surprises and excitement never gets old. The biggest stage for the final three contestants awaits them. Only three hopeful singers are left. India is ready for the next Indian singing star but who will achieve their dreams and capture the heart of India? The three talented remaining singers are all ready for their final showdown on Sunday. Before millions of people tune in on Sony TV Live, the only place to catch the Indian Idol Finale, let's meet our finalists! 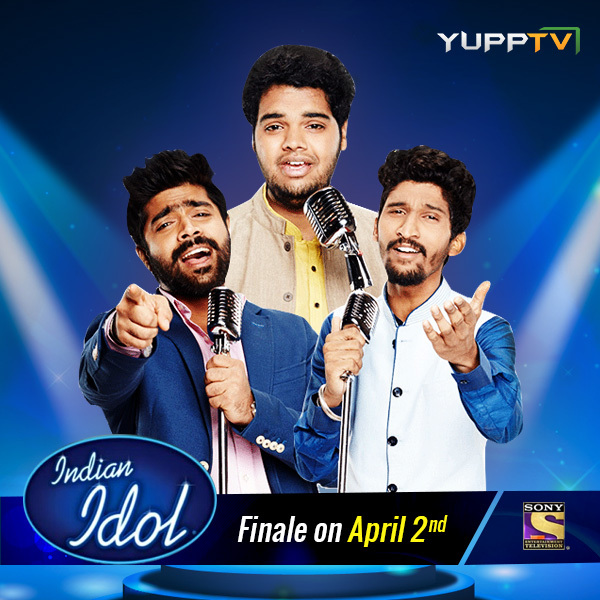 Meet the Top 3 contestants: Khuda Baksh, Revanth LV, and PVNS Rohit.From a pool of thousands of talented singers all over India, only three contestants remain. Withholding through the various challenges and tests, these three singers have proved their talents. Now it is time to choose the final winner from the Top Three, the remaining hopeful Indian Idols. Khuda Baksh is a 21 year old college student and aspiring singer from Mukhtasar. Though young, he has been through hardships like losing his father at a young age. Despite his personal difficulties, Khuda Baksh has shown great talent, able to perform various genres from Bollywood chart-toppers to folk songs. Rohit PVNS was a simple city boy who is very shy before Indian Idol. But now he is popular on social media networks like Facebook and Youtube, Rohit PVNS was well-known for his vocal talents prior to his auditions. He proved his talents when he received the rare golden microphone on the show. This internet phenom from Hyderabad hopes to blossom into a A-list star. Revanth LV is a professional playback singer from Tollywood. LV Revanth has already had a taste of the limelight. He had sang in the blockbuster movie "Baahubali", and other movies such as "Intlo Dayyam" and "Srirastu Subhamastu". Also a Hyderabad resident, Revanth LV hopes to grow his career even further and become a major star. The finale between these three talented singers is guaranteed to be amazing. Expect none of these singers to disappoint. Who is your choice for Indian Idol? Will you agree with the judges? One of these three everyday people will become the next Indian Idol! Stop flipping through Hindi TV Channels and watch Indian Idol to witness history be made. Do not miss out on tonight and watch Indian Idol on Sony TV Live.